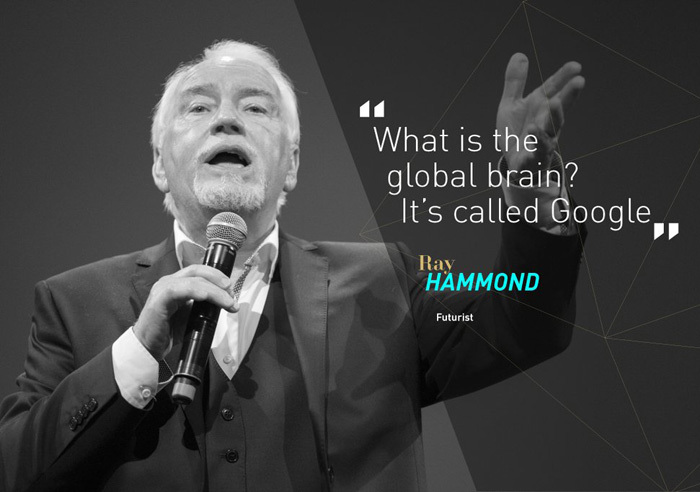 Ray Hammond is Europe’s most experienced futurist and keynote speaker on future topics. For over 35 years Ray has been writing and speaking about the trends that will shape the future. His long record of accurate foresight is unique in Europe and he is now living in the future he first described 30 years ago. 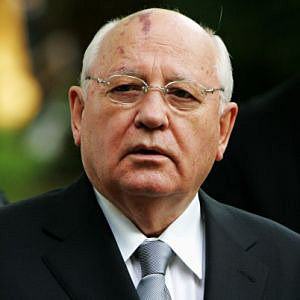 In 2010 former President Mikhail Gobachev presented Ray with a U.N. Gold Medal for Services to Futurology. Ray is also a successful and proven business leader and serial entrepreneur. He has hands-on experience of creating and selling profitable businesses. Today, Ray is the author of 14 books about the future, a body of work which he began in 1980 and which stands as testament to the long-term accuracy and reliability of his foresight. His 1984 publication, The On-Line Handbook, was the world’s first book to identify the overwhelming importance of the Internet and to identify ‘search’ as the key driving force behind all future on-line advertising and digital commerce. He is based in London. Born to Irish parents, Ray Hammond was brought up and educated in West London, U.K. At 17 he left formal education early to train as a junior news reporter on his local weekly newspaper, The Middlesex Chronicle. After a journalistic career which included spells on The Sunday Times and the music paper Sounds, he founded a magazine publishing company in 1974 to publish International Musician & Recording World. His founding partner was Richard Desmond who today continues to run the same business and now publishes The Daily Express and many other newspapers and magazines. The magazine publishing business flourished and grew rapidly, opening additional offices and publications in Germany and the USA. In 1977 the group launched an advertising agency, The Advertising Practice, with offices in the UK and USA. During the late 1970s Ray Hammond spent considerable time in San Francisco learning about, and creating advertising for, the nascent personal computer industry in Silicon Valley. In 1980 Ray sold all of his shareholdings in the publishing company and advertising agency to concentrate on a full-time career as a futurist, writer, speaker and broadcaster. His first book, The Musician and The Micro was published in 1981 and he made his first keynote speech as a futurist in San Diego in 1982. In 1996 his international best-seller Digital Business provided a blueprint for Web commerce and provided a business plan template for on-line tech start-ups. Ray is also the author of four futuristic novels and his books have been best-sellers in the USA, UK, France, Spain, Poland, Japan and China. He is published globally by Macmillan. Ray Hammond continues to study the key trends of the present which are likely to shape the future. These include global population growth, climate change, the energy crisis, globalization, the multiple revolutions occurring in medical/pharmaceutical science, accelerating, exponential technology development and the future of the world’s poorest two billion people. “Once you’ve discovered on-line searching, you’ll realize that we’ve finally solved the problem that has been weighing us down for most of this century; how to access information. Ray Hammond now provides keynote speeches, lectures and workshops for companies, governments and universities all over the world. He is a guest lecturer at Oxford University’s Oxford-Martin School, CASS Business School and Lund University. He is also an elected Fellow of the Royal Society of Arts (FRSA). In 2017 Ray was appointed a member of the Science Fiction Advisory Council (SFAC) of the XPRIZE. When not on the road, Ray lives with his wife Maria in London and Bath, UK. He has two daughters.